Porsche have officially announced more details of their upcoming Panamera Sport Turismo. The car is based on the 4 door version and has a shooting brake style of body – a first for the German giant (not including the rare 924 modified wagon – Roadandtrack). We’ve got to say it looks pretty damn sleek! My word, it’s beautiful isn’t it!?? It is quite striking we agree, no one would blame you for jumping on the proverbial wagon (excuse the pun) and saying that this car is gorgeous, because it is. The shooting brake body style can either be hit or miss especially when morphing an existing model. We feel Porsche have gotten it right though! What’s different over my regular beloved Panamera? Well the shooting brake is based on the four door version so a lot of it will be the same, they’ve even kept the overall length of the car the same at 5,049mm. Even though the length remains the same, they’ve managed to cram in an additional seat in the back, in the form of the centre section, making this a 5 seater car. 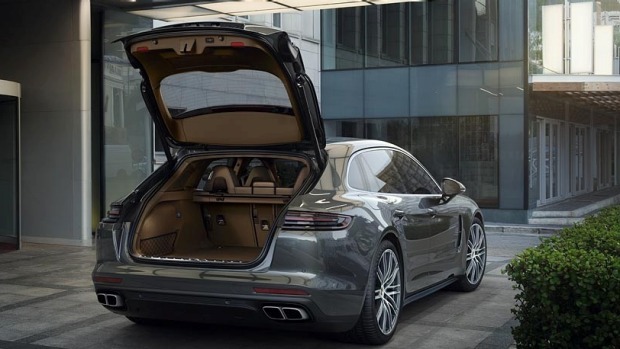 Of course with the estate style body you can also expect more luggage space in the boot – (520 litres) 20 litres more than the saloon to be specific. How much mullah do I need to own one? 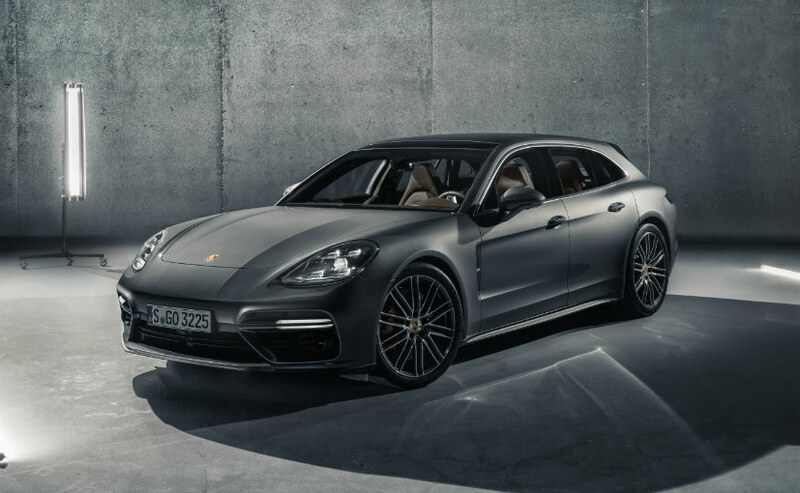 Prices for the Porsche Panamera Sport Turismo start at £73,071 for the regular 4 model and climb to £117,247 for the top of the range Turbo model. Quite a fair bit of change but prices are only marginally higher than the 4 door Panameras, around £2800 difference, on average across the range. It must have some speed junkie gizmos surely? Well of course, it is a Porsche after all. New to the table is an active rear wing that extends from the back and changes angles depending on the speed and driving configuration chosen. Said to create downforce of up to 50kg, it’s no gimmick! We should also mention the Porsche Panamera Sport Turismo comes only in four wheel drive configuration ensuring you shift that long body off the line as quick as possible. Surely there’s big powerful engines to make use of that wing? Porsche aren’t disappointing and the Sport Turismo will be available in a number of configurations similar to that of the 4 door model. 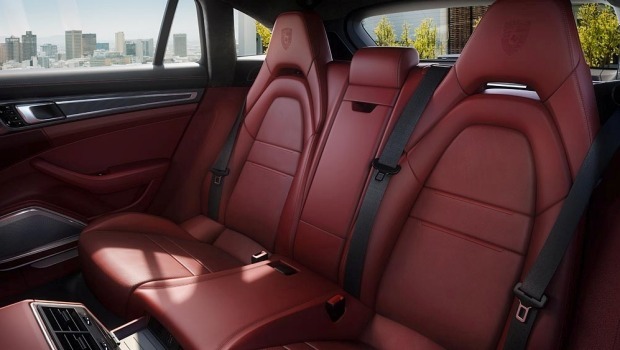 The range starts with with the regular Panamera 4 Sport Turismo which features a 3.0 litre V6 engine with twin scroll turbo, producing 326 bhp and a 0-60 time of 5.5 seconds (5.3 with launch control). A good start! 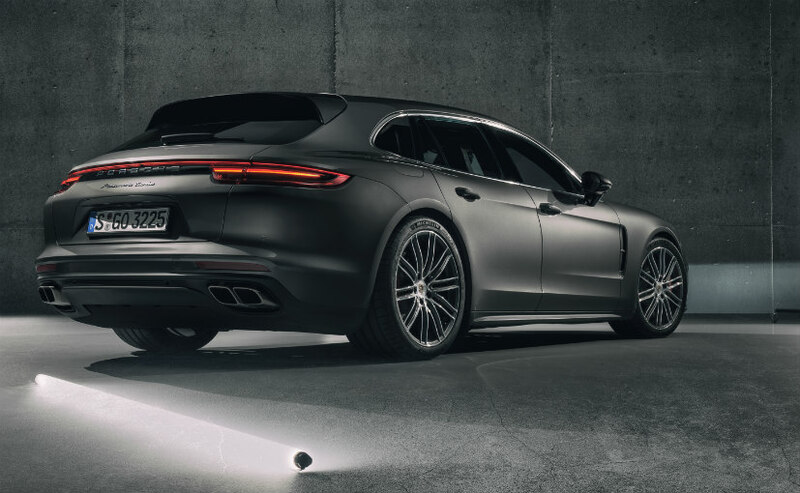 The top model being the Panamera Turbo Sport Turismo which features, yup, the growling 4.0 litre twin turbo V8 engine which catapults the car to 60 in 3.8 seconds (3.6 with launch control). This engine, also found in the 4 door versions, pumps out a staggering 541 bhp and permits a top speed of 188 mph. Will it be at Geneva and when is it out? It will indeed show face at the Geneva Motor Show this week, following which the car is expected to launch in October. 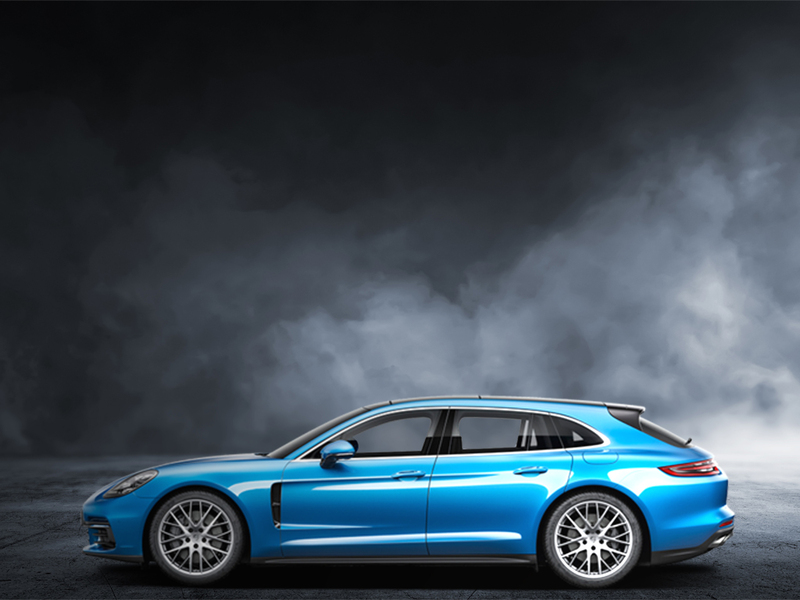 Even though October is a fair while away, Porsche have already elected to display the Panamera Sport Turismo alongside the regular Panameras in their current models web section. Stay tuned as we cover the Geneva motor show and the Porsche Panamera Sport Turismo in greater detail.